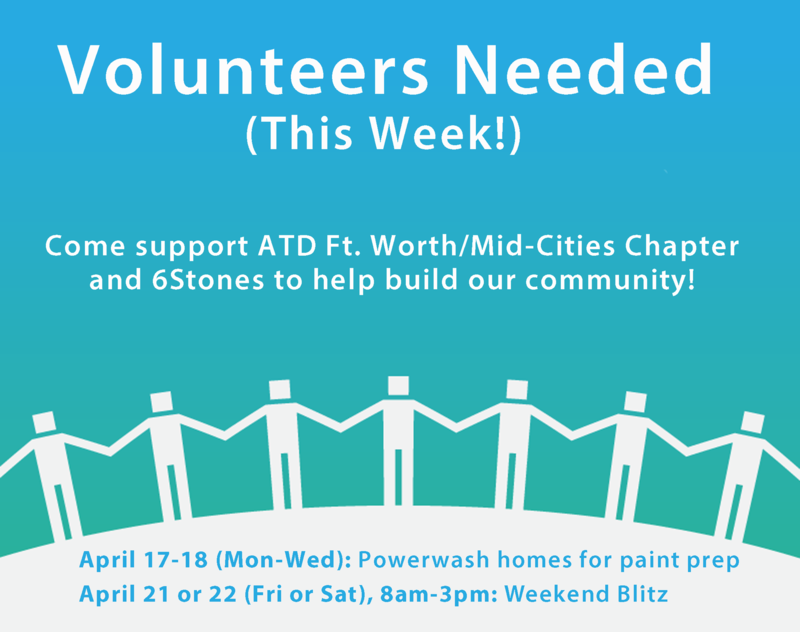 April is volunteer month, and our ATD chapter is partnering with 6 Stones and CPR (Community Powered Revitalization) with home building and repair in the Mid-Cities area. Isn't this a great opportunity to give back? No building or repair experience is needed, but it is helpful. All supplies and tools are provided. Mon-Wed (anytime), GREATEST NEED: 4-6 people teams to powerwash houses in preparation for painting. We also need a few people with trucks (or perhaps minivan) who can transport the powerwasher. 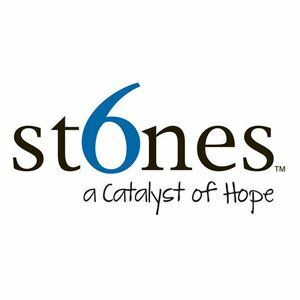 The projects will start from 6Stones office (209 N. Industrial Blvd, Suite 241 Bedford, TX 76021 ) and you will then travel to homes in HEB area.